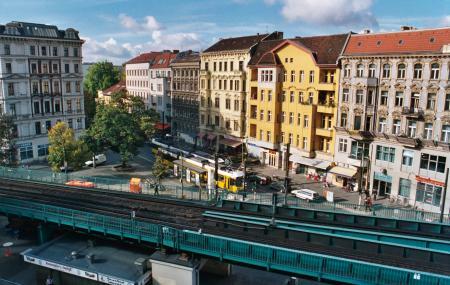 Prenzlaeur Berg is one of the best areas to see if you want to understand how Berlin looked back in the 20th century. This area was once a main borough of Berlin. In the year 2001, it was merged with the borough of Pankow and today forms the south region of this borough. It is an amazing place to witness the uniformity in architecture. You can take a stroll through the area to understand the kind of architecture used in the 20th century in the city of Berlin. You can visit the region anytime of the day. Subway stations within the region: Berlin PrenzlauerAllee and Berlin LandsbergerAllee. How popular is Prenzlauer Berg? People normally club together Stasi Museum and Mauerpark while planning their visit to Prenzlauer Berg.